A University of Nebraska-Lincoln team has engineered bacterium producing 46 percent more hydrogen per cell than a naturally occurring form of the same species. 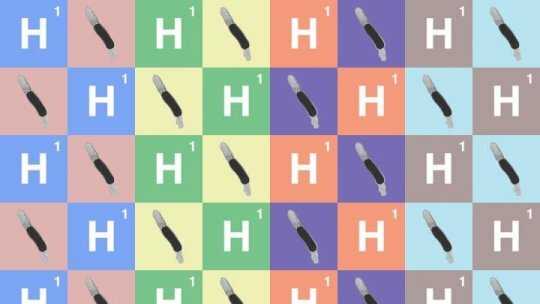 The research team’s highest reported yield – 5.7 units of hydrogen for every unit of glucose fed to the bacterium – easily surpassed the longstanding theoretical limit of 4 units. University of Nebraska-Lincoln researchers have engineered the bacterial species Thermotoga maritima to produce more hydrogen than any bacterium before it. Image Credit: Scott Schrage, University of Nebraska-Lincoln. Click image for the largest view. Back in 1977, researcher Rudolf Thauer proposed a theoretical ceiling on the amount of hydrogen that bacteria could produce via fermentation, the sugar-converting process also responsible for yogurt, beer and cheese. A version of the Thermotoga maritima bacterium engineered by Raghuveer Singh, Paul Blum and their colleagues produced 46 percent more hydrogen per cell than a naturally occurring form of the same species. The team’s highest reported yield – 5.7 units of hydrogen for every unit of glucose fed to the bacterium – easily surpassed the theoretical limit of 4 units. The effort represents a breakthrough on the global effort to scale up the sustainable production of clean-burning hydrogen for vehicles and heavy industry, Singh said. Most commercial hydrogen comes from refining non-renewable fossil fuels such as natural gas, oil and coal – processes that generate sizable amounts of carbon dioxide. So the researchers decided to temporarily inactivate a gene that has no effect on cell growth but slows hydrogen production in T. maritima. When they did, a second gene – this one involved in transporting sugar – spontaneously mutated to prevent a lethal buildup of sugar-based metabolites. That mutation also dramatically redirected the bacterium’s energy expenditure from cell growth to hydrogen production, creating a new strain that the researchers named Tma 200. After transferring the newly mutated gene into a naturally occurring version of T. maritima, the researchers found that the bacterium overproduced hydrogen just as Tma 200 did – confirming the influence of sugar uptake on hydrogen yields. The team’s research paper about its work has been published in the journal Applied and Environmental Microbiology. Singh and Blum authored the study with White, a recent doctoral graduate now with NuTek Food Science; Yasar Demirel, associate professor of chemical and biomolecular engineering; and researchers from North Carolina State University and the University of Connecticut. Many possibilities might be an understatement. This may be break out work. Even though its the long way around, first coming up with the glucose, which isn’t hard to do, has to be fed, but the hydrogen production is impressive. Time will tell though, that hydrogen storage gorilla is still out there.